A healthy body is as essential as a healthy mind. The importance of a healthy body is proportional to a healthy mind. Maintaining your sanity in this world of cut throat competition is a real challenge, more than any professional challenge. Safeguarding the health of your loved ones is worthier than pursuit of wealth or material property. In the end what will the value of your property be if you are not able to give quality time to your loved ones? In the quest of a flawless career and successful professional legacy, we all end up committing gluttony of ignoring the signs our health keeps giving us for slowing down. Our lives would be a lot different if only we paid attention to our health. After all, your acres of property or lockers filled with diamonds would be of nil value if your health is in shambles. The Internet today has given us the liberty of a wealth of options to choose from for fulfilling every necessity of life. However, this has a flip-side to it, as people end up getting misled and paying heavily for their lack of knowledge in times of medical exigencies. The current times of instant results and instant gratification have made people want everything at a snap of a finger. Thankfully, there are few websites that endeavor to provide for health care needs of people and netizens. 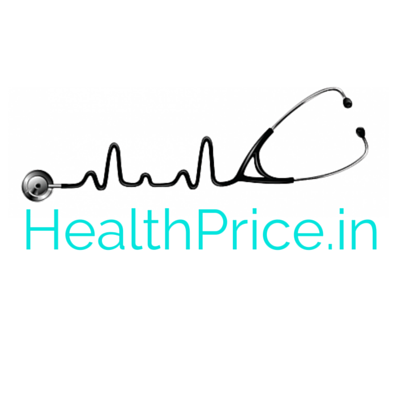 Healthprice provides treatments details for every disease afflicting mankind and the exact hospital to visit. This way people end up saving time and money and not to mention, precious lives of their loved ones. It strives to be with people for each and every health need. The spending power of people is increasing. However, people shouldn’t end up spending a bomb on health care. The Indian society has a combination of neo-rich, rich and the relatively lesser privileged section of society. It is only just if people have a fair idea about the kind of money they would have to spend on health emergencies. How does Healthprice help you? Healthprice helps connecting all the pieces for making a sensible scenario where no needy person is denied medical intervention. The website has listings of various treatments available across many Indian cities. It also believes in connecting people through social media like Facebook and Twitter. The Internet has a lot of power and being able to engage with customers through a social platform is a good way to spread awareness about health care. 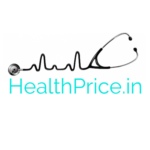 The website has an enquiry page where people can submit their queries and experts at healthprice get back with best responses. There are experts at Healthprice who compile medical data in the form of treatment prices, details of diagnostic centers offering those treatments. It helps patients in making an extremely informed decision of choosing a hospital for undergoing treatment on basis of expert advise and research. It is the best connecting link between a patient and the doctor. This encourages transparency in health procedures. Healthprice strives to make valuable information related to health-care reach till grass roots. This is just one step towards making affordable health-care available to all and making India walk towards a disease-free state. Healthprice strives to set newer benchmarks and provide unparalleled services to people irrespective of their status or age in society. Their efforts in making health-care universal are evident and for all to see. In event of a health revolution in India, it won’t be a surprise when healthprice becomes a front-runner in giving the health care system a face change.